Who knew that Brittany would ever be the voice of wisdom? I’m going to keep this short and sweet so I don’t end up just bashing Glee for 800 words. 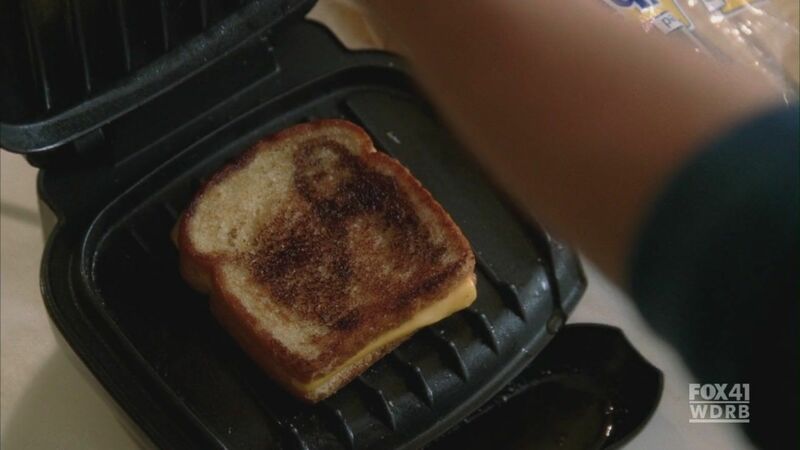 Last night’s episode “Grilled Cheesus” was just not my cup of tea. None of the six songs featured made it to my iPod, there was only one quote that made it to my quote book, one of my favorite songs was butchered and the religious overlying theme was a tad overpowering for my taste. I don’t understand how people were crying and claiming this was the best episode of Glee yet. I didn’t cry. I hardly paid attention…although that may have been partly to the two lovebirds making small talk a few feet away from me. I am of the opinion that Glee needs to stick with the happy-go-lucky. They just do it so much better. Am I the only one at all disturbed that Finn ate what had to be an at least three days old cold grilled cheese? Music overall grade? D. “One of Us” by Joan Osborne is one of my most favorite songs ever. Okay, maybe saying it was “butchered” is a bit of an overstatement, but it was nowhere near as great as the original. “Bridge Over Troubled Water” is also a favorite of mine…not anymore. The autotune on “Losing My Religion” and “Only the Good Die Young” was out of control. This is why critics and viewers alike claim that the cast can’t actually sing. Religion is not particularly a touchy subject for me, but it is definitely not on the top of my list of subjects I like to talk about. Just don’t bash my beliefs and I won’t bash yours. Kurt can’t have been the only person in that glee club who doesn’t believe in God. To that end, so what if he doesn’t believe in God? I found it really surprising how personal everyone took it. The only character so far who has been portrayed as being exceptionally religious is Quinn and she had what…two lines? I felt like the whole notion of God was being forced down my throat the whole episode. Not appreciated. Has anyone noticed how no one on television seems to have two parents anymore? Rachel is the only character so far who has two parents. Finn’s dad died. Kurt’s mom died. Puck has a deadbeat dad. Quinn’s dad left her mom. And we haven’t even met most of the glee kids’ families yet. The go-to device for emotional television seems to be sending a parent to the hospital. We all know that Burt is going to be okay, he’s a regular now. The producers wouldn’t promote him to regular status for the one episode he dies in. If the only reason for Burt’s heart attack was to get Chris Colfer crying in an episode, it wasn’t worth it. So this ended up being roughly 500 words. My bad. I have been so disappointed with Glee this season. But I can’t seem to stop watching. TELEVISION THAT CHANGED MY LIFE, I: Dawson’s Creek. You never know. Joss Whedon did exactly that with the character of “Tara” in season six of Buffy the Vampire Slayer. She was made a series regular, finally appeared in the credits and then bam – dead by a random gunshot wound. I havent yet caught up on my Glee episodes for this season but nothing is certain. Nothing.